After 92 years in existence, the COS mascot has yet to have been titled. 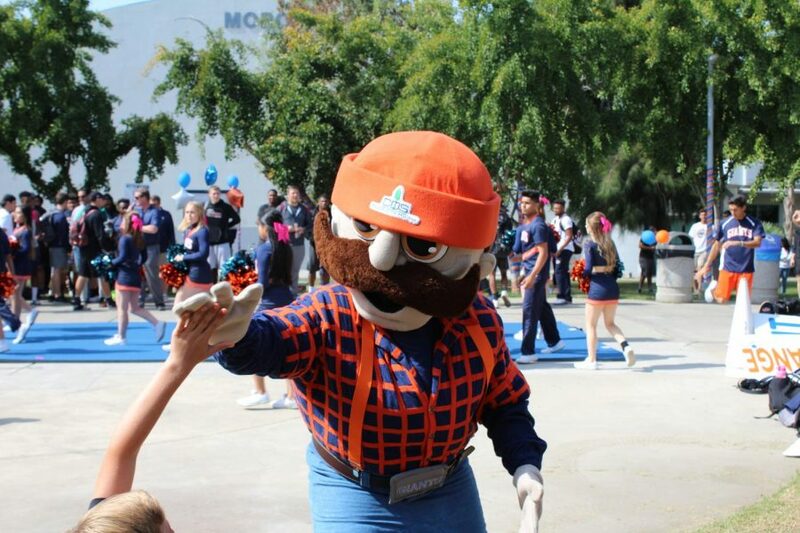 Thursday, November 15, COS Student Senate and Cheerleading have come together to officially name the COS Giant. 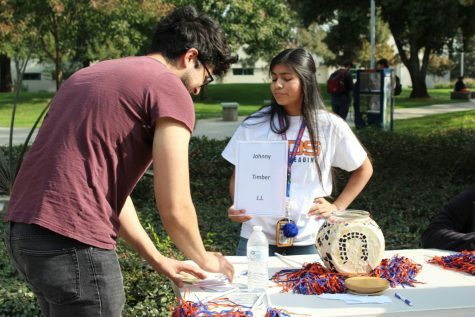 The two clubs are hosted a booth in the quad from 12:00-1:00 pm where students can come and pitch their vote for the name they like best. Student Senate started with 8 possible names and after a long process officially deduced it down to 3. The 3 names currently in the running are: Johnny, J.J., and Timber, with Timber far in the lead. The results will be tallied by the end of the night and released sometime before Monday on the COS cheerleader Instagram account and online site.